In this present time, most of the people tend to make habit of checking reviews first before making any purchases or investments. They usually relies their decision on what they will possibly read. But how can they be sure that what posted there is right or wrong? There are cases of receiving 5 star ratings from not real users and 1 star rating from slanderous competitors. It may results damages, wrong decision making and inaccurate information. These kinds of scenarios badly call for an immediate solution. The world today needs a strong system to handle such circumstances; and so Revain was born. It is the first most honest review platform of the Earth’s history. It provides only the correct and trusted tons of reviews for its users. Businesses affiliated with Revain are systematically arranged within the platform. One more thing about Revain is the transparency it can provide. Everyone can write and read reviews posted within the network. Revain assures an incorruptible and immutable place for everyone. Strictly no reviews can be deleted, removed and edited. Revain has implemented Artificial Intelligence which gives additional security. Upon submitting reviews, users then will receive verification letter from Revain (with digital signature attached). This confirmation may be used for future purposes. Revain works on producing more protection levels so that all users can experience the most convenient transaction as possible. 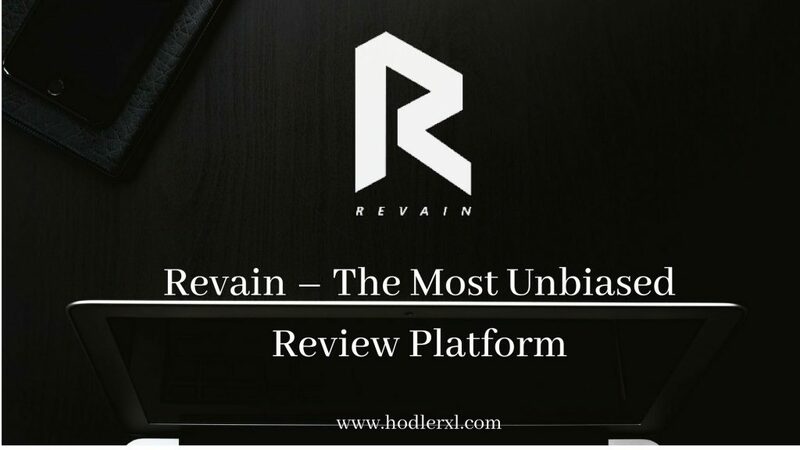 To engage more users, Revain introduced another special feature which will provide statistical analysis on posted reviews. Notification containing reviews details (likes and read counts) will be sent immediately. Most of the processes are operated using the latest blockchain technology. The system was able to create economic model and make its first ever token – the RVN. As an internal crypto currency, its value is very stable. It is also used as reward and helps engage users to create good reviews. It must be keep in mind that not all reviews can receive rewards. It first undergoes a specialized filtration stage; good quality feedbacks will only pass and poor reviews will surely fail. This level is called (RAF) Reviews Automatic Filtering. It has IBM Watson as its core element. R refers to the second token which is primarily used to gather funds on ICO. As of this writing, R has 186,450,000 R total circulating supply and 484,450,000 R maximum total supply. R holders may trade their tokens to several exchange platforms like HitBTC, Kuna, Bitpie, Etherscan, CCEx, Bitflip, Coinmmarketcap, Yobit, Etherdelta, Mercatox, BTC-Alpha, Cryptopia, OKEX, and on KuCoin. Revain team is led by Rinat Arslanov as the Chief Executive Officer. He is an experienced entrepreneur, blockchain enthusiast and good capitalist. Maksim Voronin is the present CTO who is responsible in product development. Other members are Alexey Belashenko, Alexey Abramov, Roman Ochnev, Katya Katana, Elena Orsik, Michael Ambukadze, Vlad Bocharov and many more. Together with its advisors, Revain are on its way to the top of crypto business.